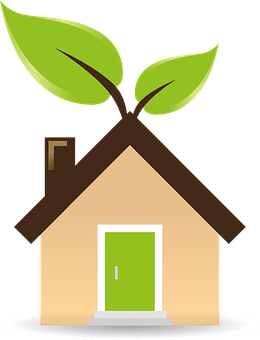 Are you trying to build a “green home” or, at least, make “green” changes in your home where you can? You are not alone. According to research conducted by Dodge Data & Analytics, in partnership with the National Association of Home Builders (NAHB), in 2015 nearly one third of home builders (31%) report that they are currently doing green builds for more than 60% of their projects, and over half (51%) expect to be doing that level of green building work by the year 2020. In addition, there is enormous growth in the amount of green home remodeling work to existing homes that is being done. So whether you are starting from scratch or remodeling parts of your home with eco-friendly options, what are the must haves that you will want to consider? Here are a few of the suggestions from contractors and environmentalists alike, who believe that reducing your carbon footprint begins at home. Going solar is one of the cleanest, renewable, and fairly low-cost energy choices for homeowners is the addition of solar energy panels. People commonly associate solar with saving money and utilizing energy, but have you taken the time to really sit down and consider solar for your home? Even if you assume solar could not accommodate your lifestyle, this blog will really help you see the feasibility of solar energy. 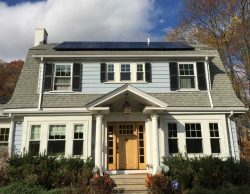 Many homeowners are drawn not only by the positive benefits to the environment but also by the access to easy installments, the decrease in cost of solar products/installation, and the tax incentives at the state and federal levels. Going solar can be a huge step in “greening” your home for not only the present, but for decades to come. When potential homebuyers are in the market, and you’re selling your home, solar power and energy panels make your home much more attractive. The materials you choose to build or remodel your home are important. Especially for those trying to choose the best option for the environment, and ensuring the land is as safe as the infrastructure of your home. You can choose sustainable building materials that will reduce the impact of your construction on the environment, and still uphold to the test of time. When deciding on wood or materials for the frame and floors of your home, consider bamboo, cork, and linoleum, which is made of natural, renewable materials. Reclaimed wood from other structures is also a good choice and allows for recycling or upcycling. Get your materials from companies that source safe and renewable materials. Conserving water should be a top priority when building or remodeling a home. Consider fixtures and appliances that conserve water, such as low flow faucet aerators, tankless water heaters, and Energy Star-rated washers. In addition to conserving water indoors, a green home will take water consumption into account when designing landscaping. Ground covering and bushes can be chosen that can help retain moisture and reduce the need for watering. Irrigation using rain barrels and collected water is also top on the list of water conservation techniques. Yes, there are even Energy Star windows on the market now that allow for costs of heating and cooling to drop. During the seasons, other windows won’t accommodate for the temperatures. Look into how energy efficient windows may benefit your home, especially in rooms like sunrooms that let in a lot of natural light. Many homeowners are shifting to programmable technology that can help control the temperature, energy usage, and even appliances in their homes. Talk to your contractor about how you can save by using programmable technology in your green home. If you are considering greening your home, talk to one of our solar experts who can tell you how our solar energy panels can help you in your goal of reducing your carbon footprint. 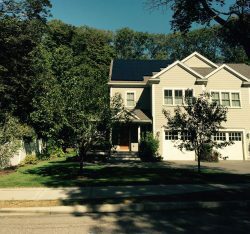 Contact SunPower by BlueSel today at 781-281-8130, or visit our website today.